Cara Jourdan | Victoria's Secret 2018. Victoria’s Secret - One of my favourite brands for as long as I can remember. I adore all that they do, and of course, I live in their lingerie. I have been watching the Victoria’s Secret Runway Show on TV for as long as I can remember, too- It is always so fun to watch, and the outfits and models are just beyond amazing! It has been a long time dream of mine to attend the show. I definitely never expected to get this chance, but I DID! And it was AMAZING. I headed to New York with the Victoria’s Secret team for a week of fun activities with VS before actually heading backstage & then to the show. Then, the real dream began. 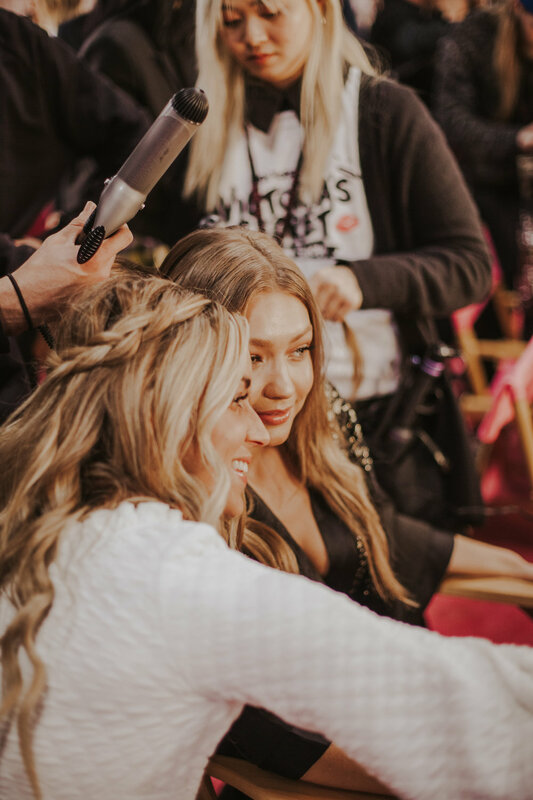 We got to head backstage before the Victoria’s Secret 2018 Runway Show, where we got to see the Angels getting their hair & makeup done and say hello to our favourites. It was insane! They are just as gorgeous and kind as they all seem in their social media outlets…All so happy & just glowing! The makeup was done by Charlotte Tilbury, and honestly, her makeup is my favourite because it is all about looking natural & glowy- Everything is created to enhance your natural beauty, which I just love. Thank you so much Victoria’s Secret for the amazing once in a life time opportunity!!! Make sure to tune in on December 2 to watch the Victoria’s Secret 2018 Runway Show.